Beacon takes over the boathouse which was formerly occupied by an outpost of Square One Dining. I’ve popped in twice now, once for a tea and pastry and then for the real deal – the great food! It’s been chilly and rainy in Los Angeles this past week, so their lotus tea and their almond latte were the perfect drinks to warm me and a friend up during our walk around the lake. 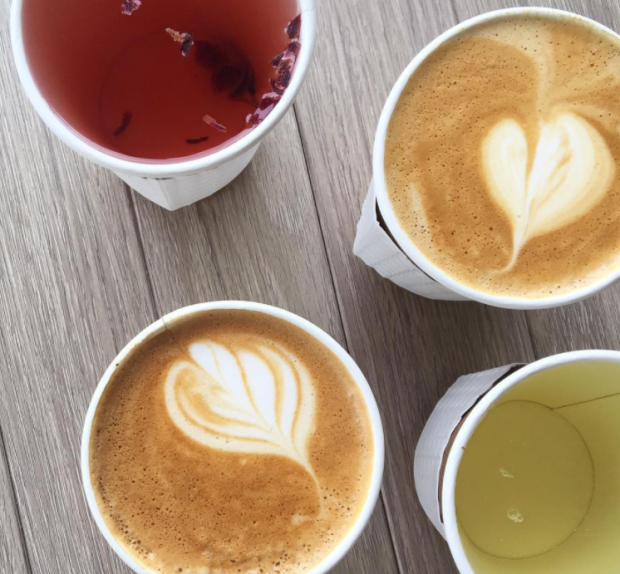 Beacon has plenty of tea options, including an oolong and a strong green. Of course, on my second visit, I had to try the avocado toast. 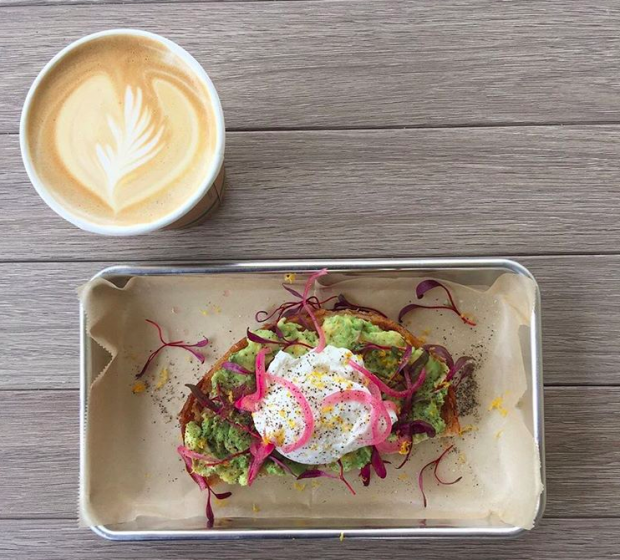 While avo toast is seemingly ubiquitous in Los Angeles and, let’s be honest, a little boring, Beacon’s avocado toast was refreshing, tart, and not heavy. I think it was the combination of the pickled red onion, splash of lemon, and the fried chickpeas made it a great first course. 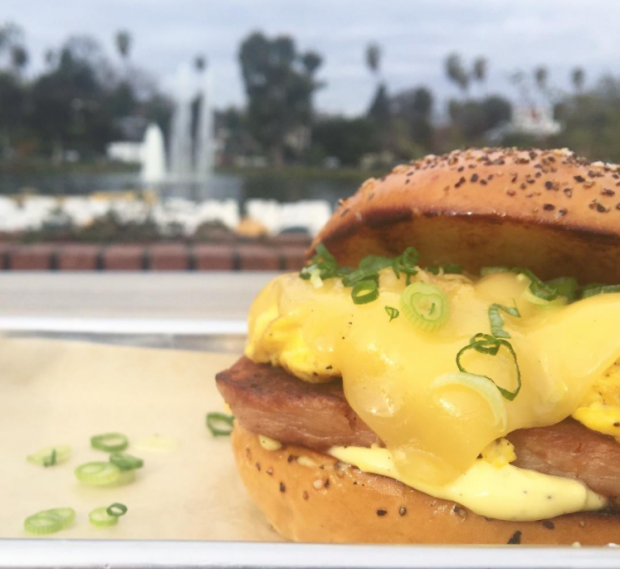 Everybody seemed to be enjoying the spam and egg sandwich, made with “thick & crispy spam, soft scrambled eggs, creamy gouda, green onions, house made ailo on a toasted brioche.” And though it looked amazing, we wanted to save some room for the rest of the menu. Next time! 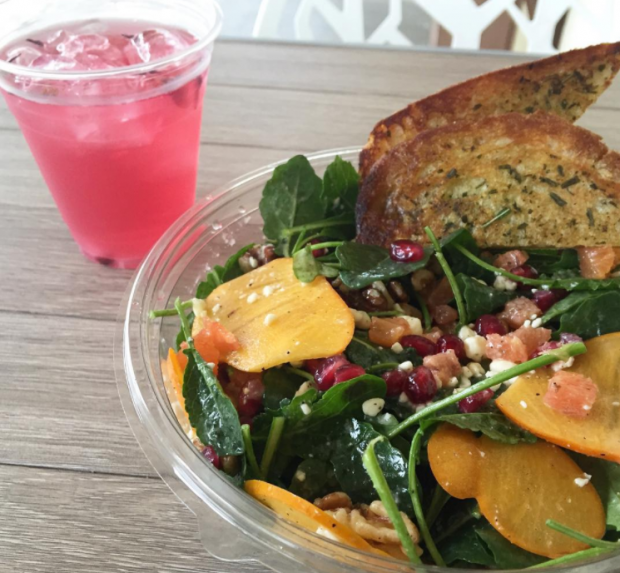 You’ll love the simplicity of the Winter salad: fuyu persimmons, pomegranate seeds, cara cara oranges, toasted walnuts, blue cheese, baby lacinato kale, and golden balsamic vinaigrette. Perfectly dressed. 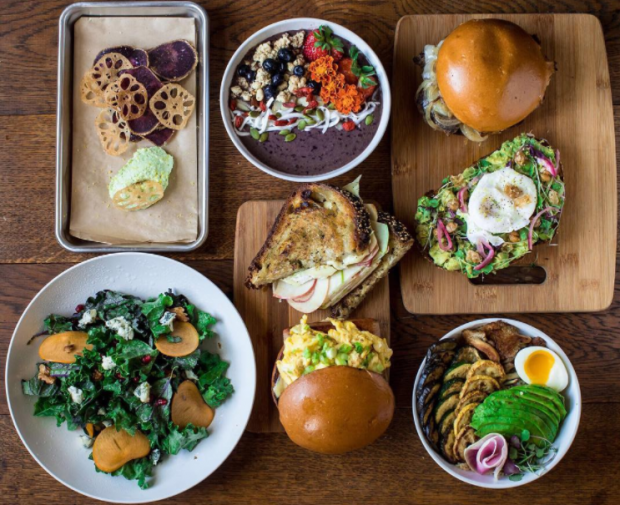 Beacon promises to use fresh and local ingredients. And, thank goodness, a veggie sandwich! 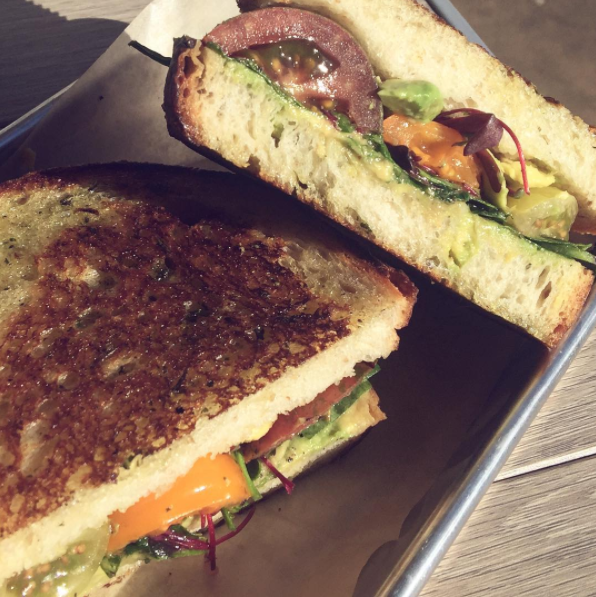 Their veggie is made with heirloom tomatoes, beet tops, baby lacinto kale, and avocado on herb toasted sourdough. You’ll want to bag up a loaf of their sourdough and take it home with you. Next up the brie sandwich, simply made for sharing with a friend. 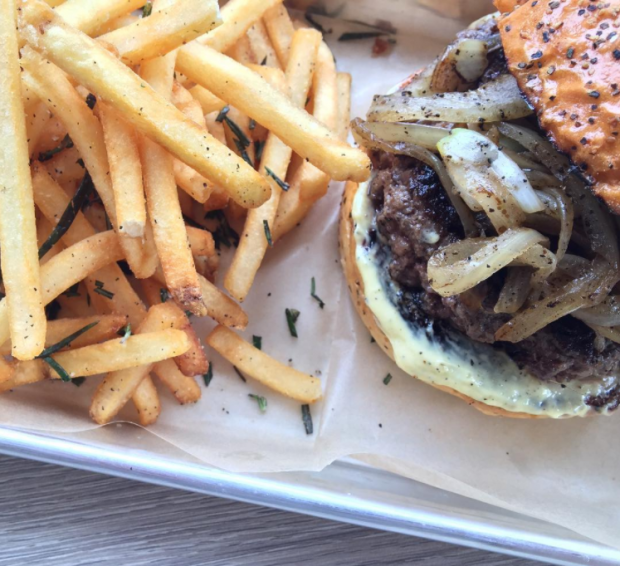 There’s also a wagyu burger with caramelized onions and house aioli on toasted brioche currently on the menu. Plus, rosemary fries! You can also get a side of fries alone for just $2.50. Chef Emmanuel Garcia is basically adding new menu items daily. When warmer weather finally arrives the chef and owner Jason Espiritu plan to add dinner service. No word yet on if beer and wine will be served. 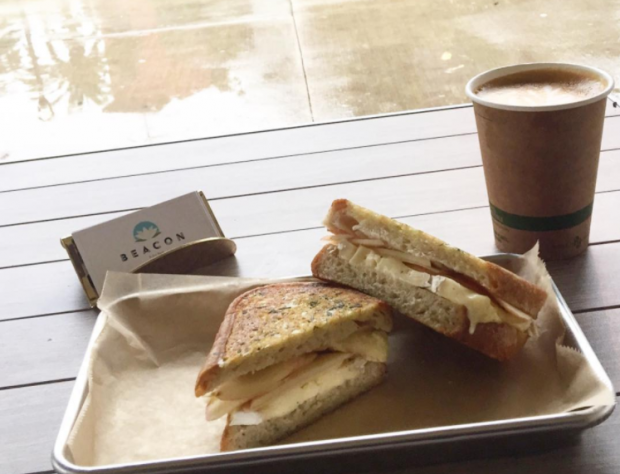 In short, Beacon is the quality food and coffee the boathouse needs. 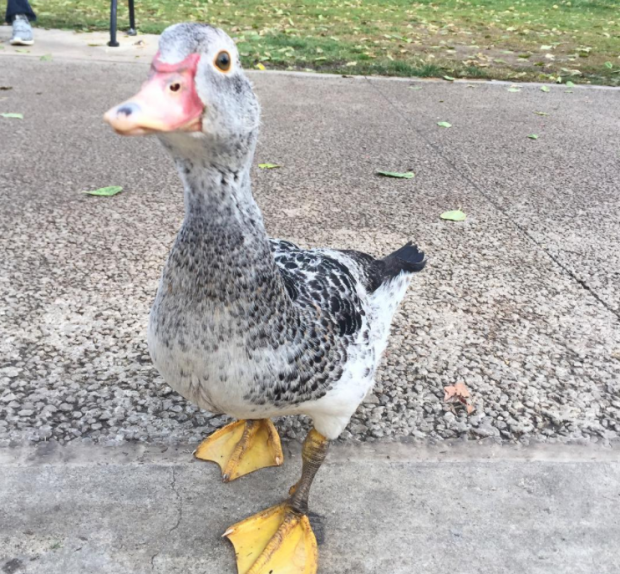 And this is Lou, the resident duck of Beacon. Enjoy! All photos courtesy of Beacon. 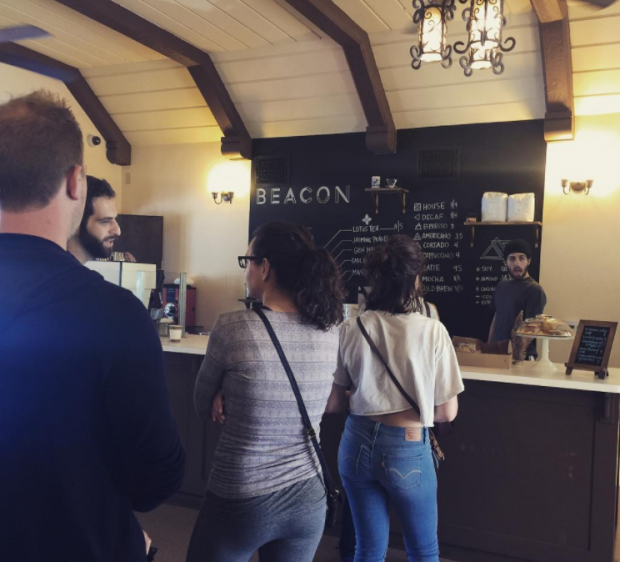 Follow Beacon on Instagram here.